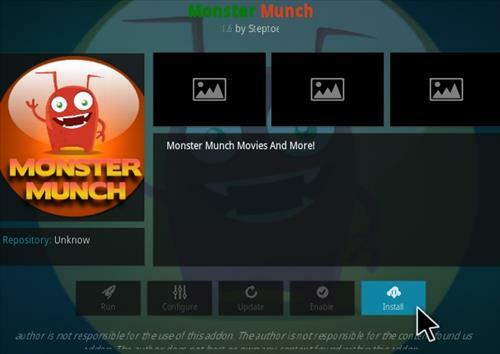 Monster Munch is an all-in-one Kodi addon from Steptoes Repo that was recently updated. 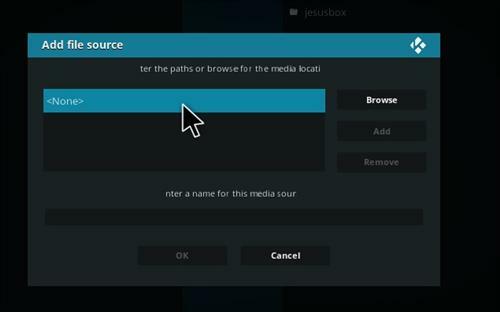 It has been updated to version 3.6 which is currently working very well with one-click to play a movie or TV shows. 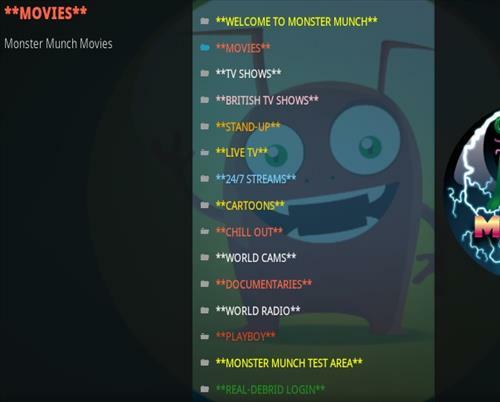 Sections include Movies, TV shows, 24/7 Streams, Chill Out, World Cams, British shows, Fitness, Documentaries, Radio Stations, Cartoons, All Sports, Tube Music, Play Boy and more. The movie section has 720p, 1080p, and 4K movies. It is a one-click-to-play Addon which finds the best link and plays it automatically. why does it play for a bit then says ‘One or more items Failed to Play’.then will not work.seems to be the only addon that does it.perfect otherwise. How do you install ? Keep getting : Failed to install a dependency !! 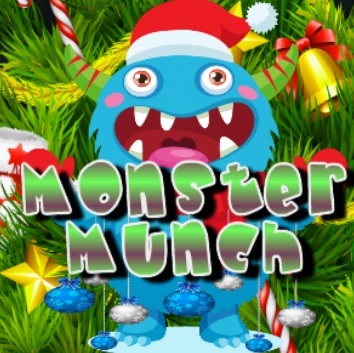 Just installed and Monster Munch is working perfectly. I particularly enjoy the English programs. Thank you! How do you get to it once it’s installed? 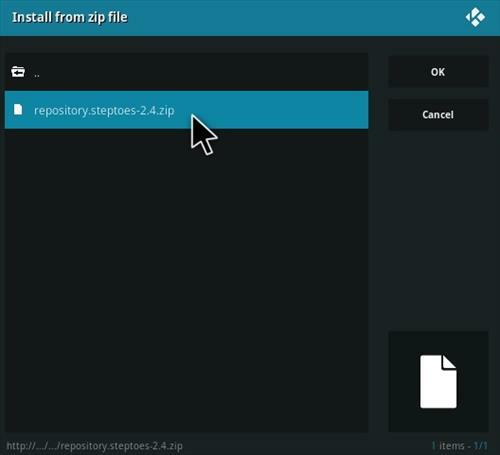 The Steptoes repository is now3.5 but in the instructions for installing the zip file it states 2.1 and that is not listed but 2.3 is. 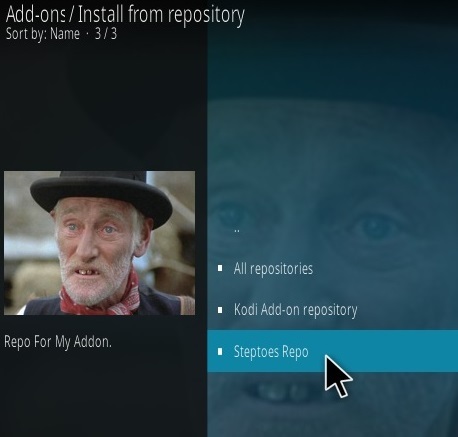 When you go to install from repository the error is failed to install from dependency. This wasa very good working add previously. I updated monster munch 3.3 now it says theres no file in the master module dictionary 1. Can anone help. Thanks. 3.2 monster munch worked perfect.